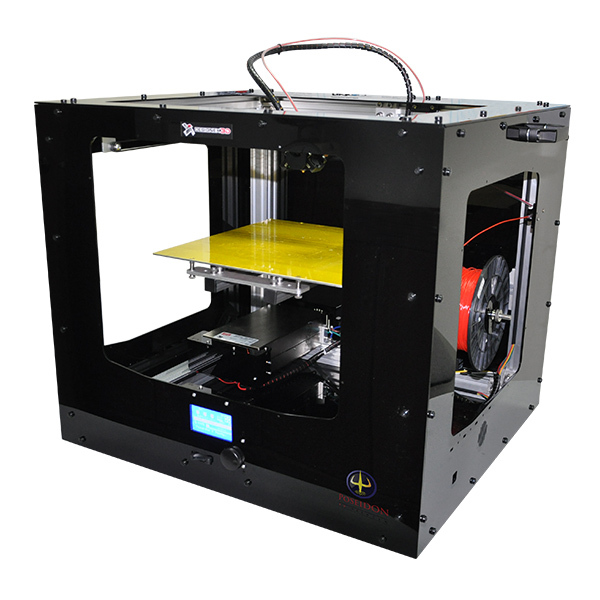 Introducing the new Large Format 3D Printer : Poseidon X. Constructed similar to its peer model, Odyssey X, it is constructed almost entirely from acrylic, rigid aluminium structural components & stainless steel hardware. This results in strong and better resistance to climatic factors such as humidity and temperature changes, corrosion-resistant and warpage prevention. 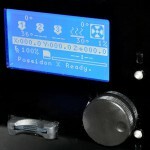 Poseidon X also comes with a full-featured LCD control panel with jog-dial that allows direct control of the printer functionalities. Coupled with SD card reader, the printer runs print job independently, fuss-free! 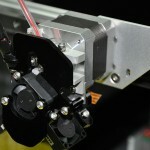 Direct thermoplastic extruder features a spring-loaded ball bearing tensioned system for quality printing. High quality linear guide ways with special grade stainless steel on all axis provide high positional accuracy, superlative smooth motion, long life and unrivalled reliability. Precision trapezoidal four start lead screw employed on Z axis 2GT belt drive system on Z axis. 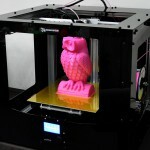 Heated print bed with software temperature setting for greater flexibility can be simply turned off if not required (eg. for non-heated platform printing with “blue” adhesive tape or diluted PVA glue).